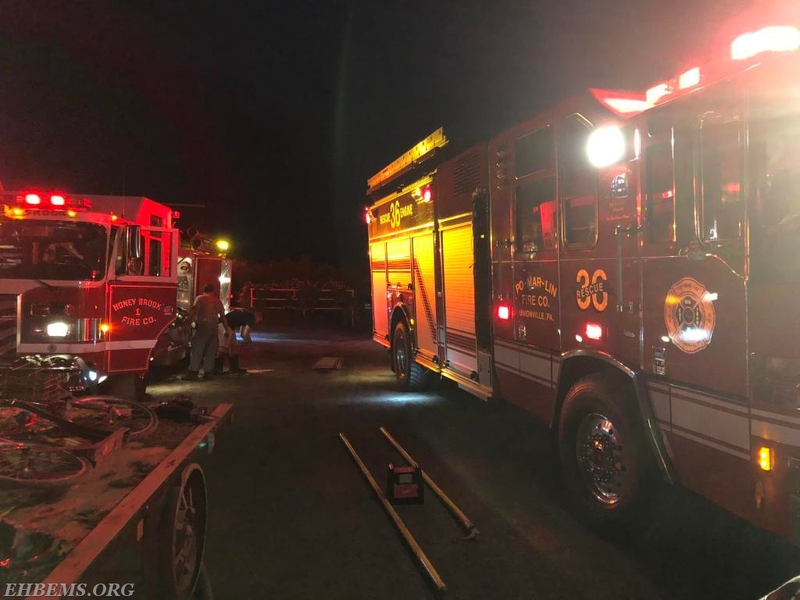 At 7:30 PM on the evening of Tuesday, August 14, the Honey Brook Fire Company (Station 33) was alerted to respond to a farm in the 900 block of Compass Road in Honey Brook Township to assist in a farm animal rescue. 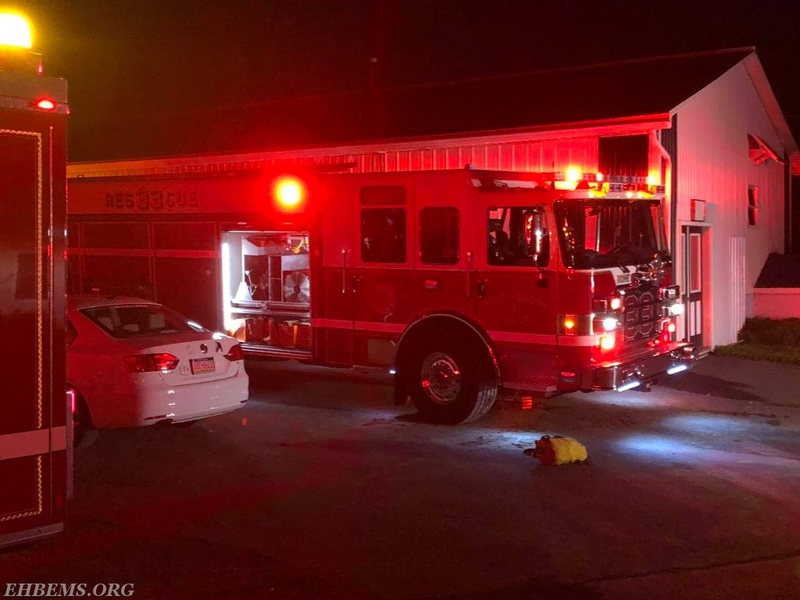 On response, Rescue 33 requested that Ambulance 189 respond as well, due to potential dangers involved in the operation. 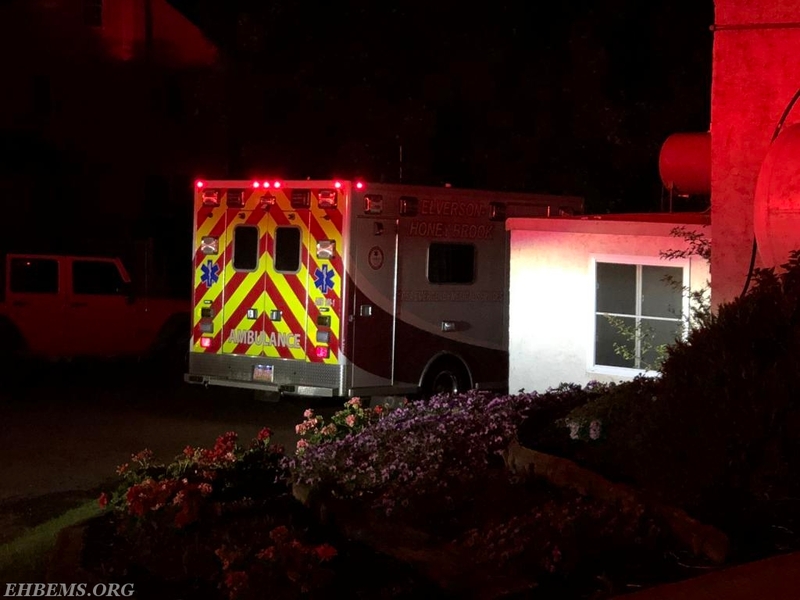 Ambulance 189-1 made the response. 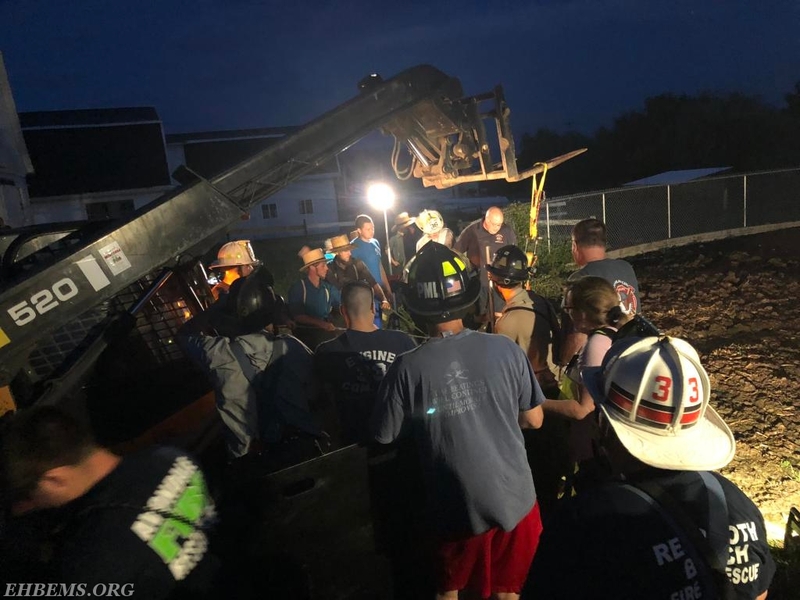 On arrival, units found a dairy cow that had wandered through a gate and fell into a manure pit. 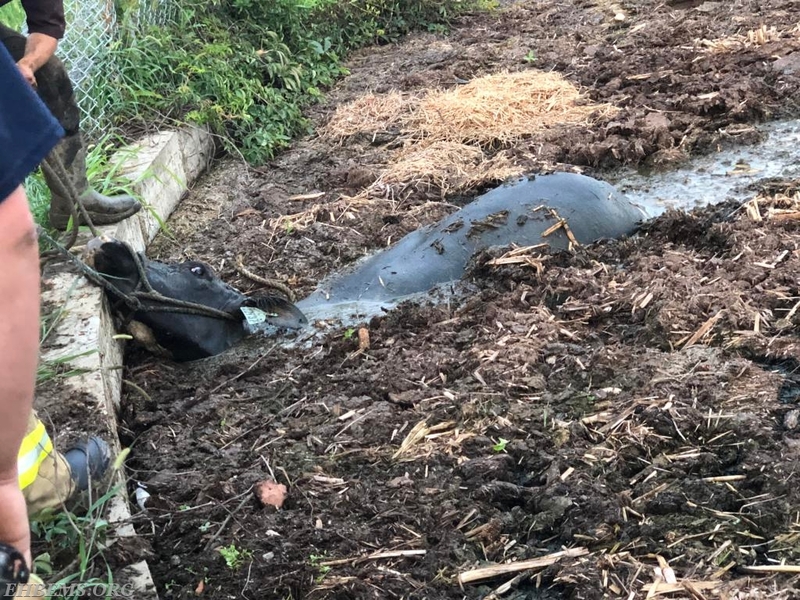 The pit was approximately 10-12 feet deep and was filled to the top with manure and other agricultural waste. 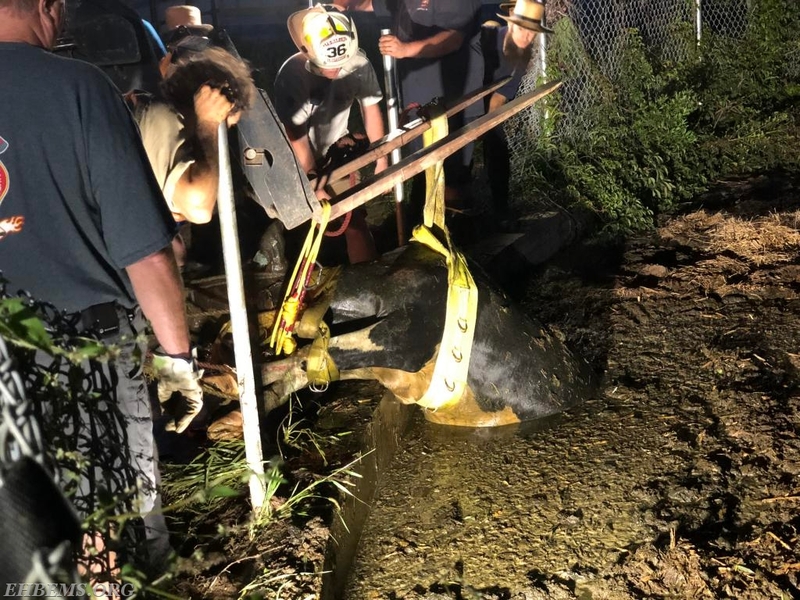 The cow was pulled to and secured to the side of the pit until she could safely be removed from the pit. 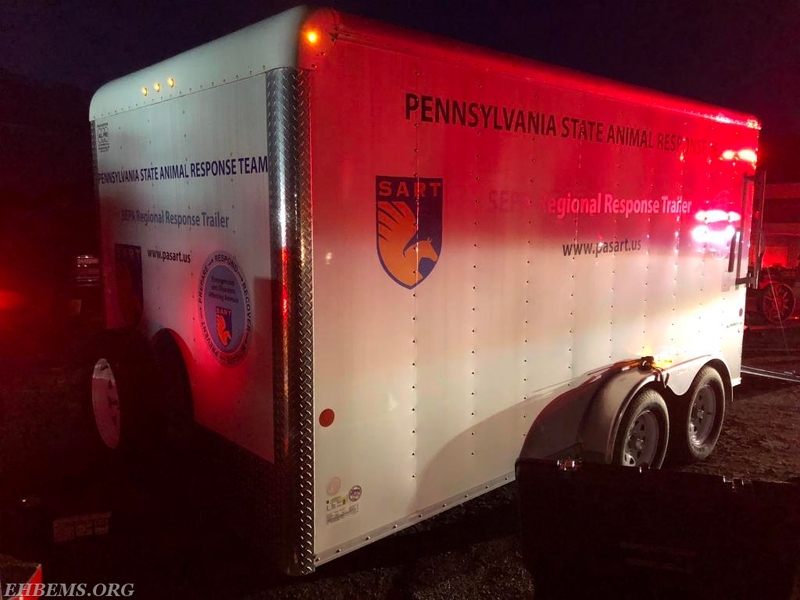 The County Animal Response Team (CART) was also requested to the scene. The CART equipment is stationed at the Po-Mar-Lin Fire Company (Station 36) in Unionville. The team made the response and arrived 27 minutes later. A Pettibone Forklift was brought to the scene from a neighboring farm. 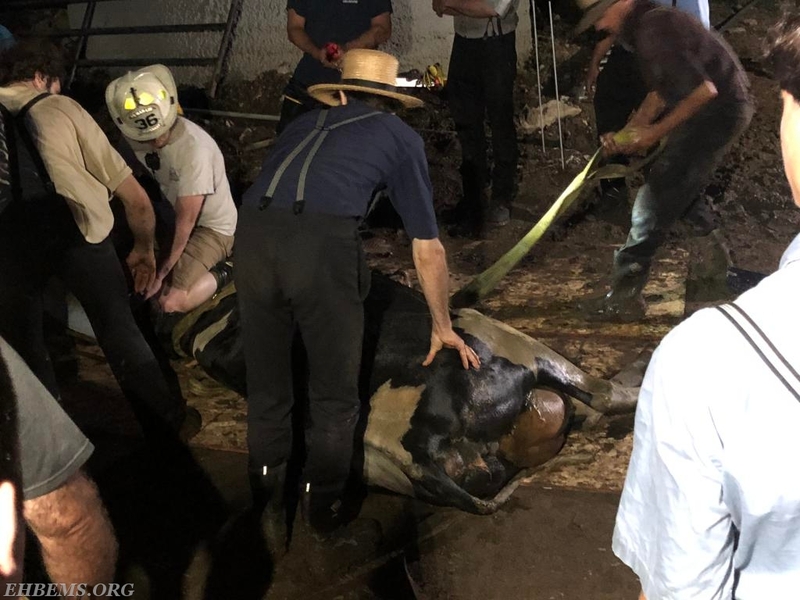 Utilizing the Pettibone and straps and other specialized equipment from the CART's response trailer, the cow was successfully and safely rescued from the pit and was removed to the barn. 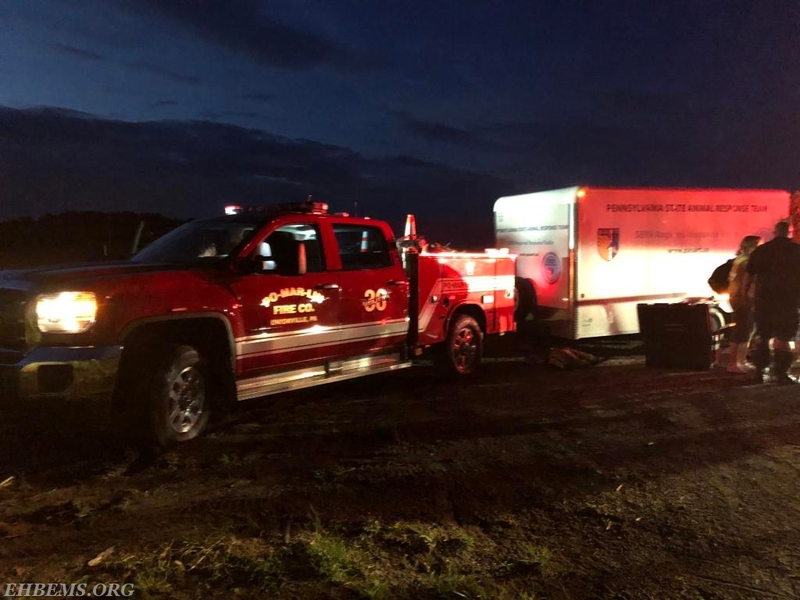 Once all equipment and responders were cleaned, the responding units all returned to their respective stations. Units cleared the scene around 9 PM. 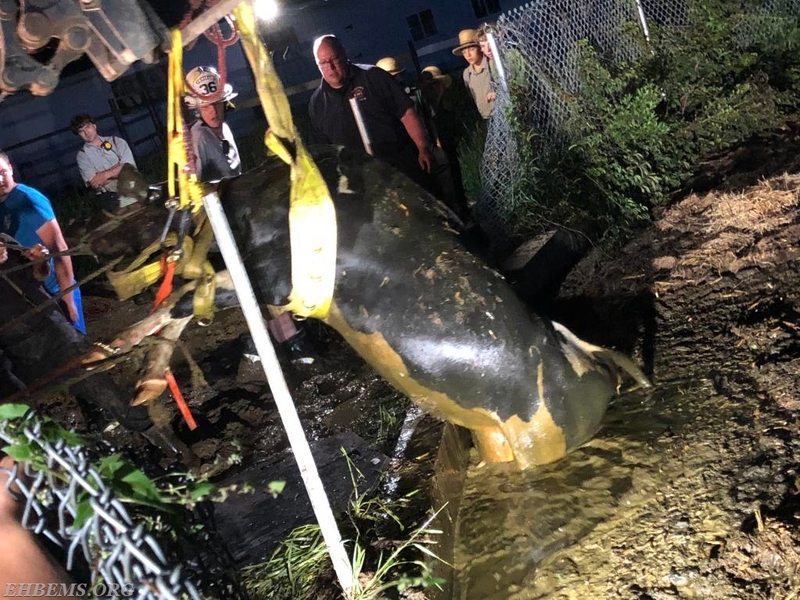 The cow was secured to the side of the manure pit until the arrival of the Animal Response Team, and she could be safely removed. 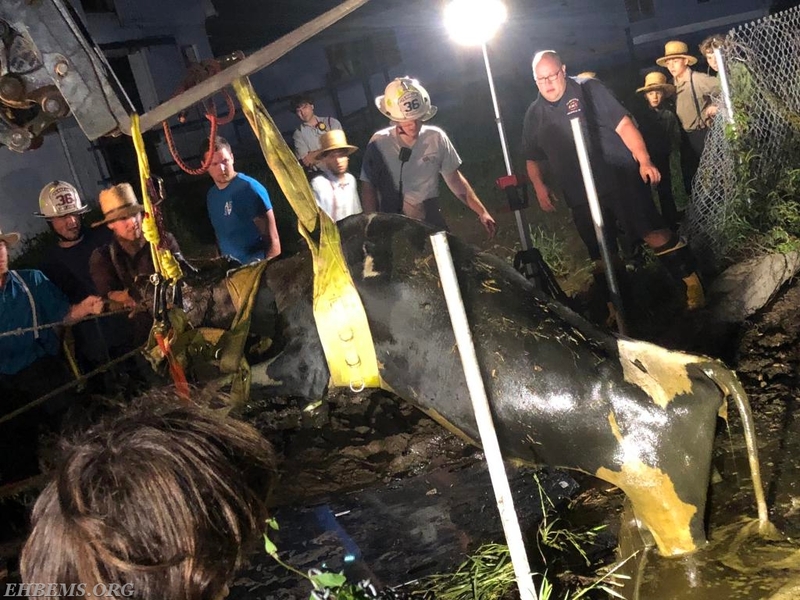 The cow is successfully removed from the pit. Straps are removed from the cow before she is taken back to the barn. 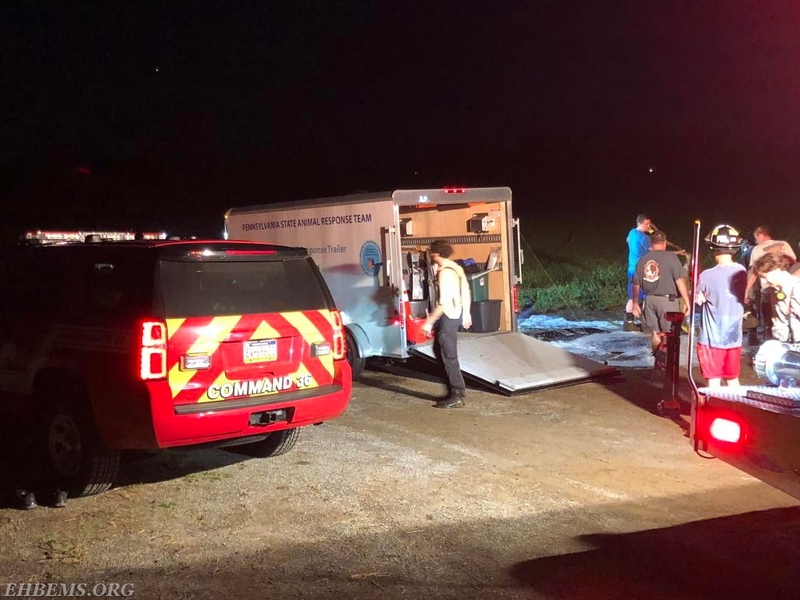 Ambulance 189-1 staging in front of the barn. Equipment is cleaned and returned to service.